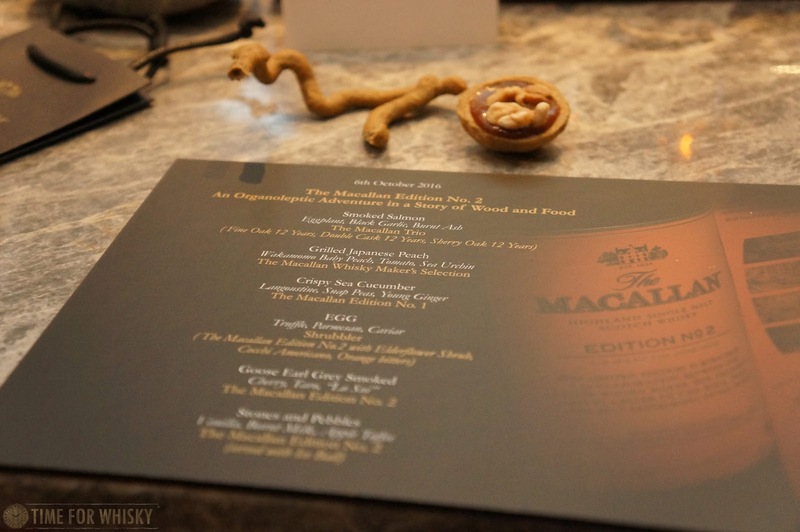 Late last week TimeforWhisky was lucky enough to be invited to the Hong Kong launch of The Macallan Edition No.2 - the latest limited edition from the distillery, which we first tried a few weeks ago. 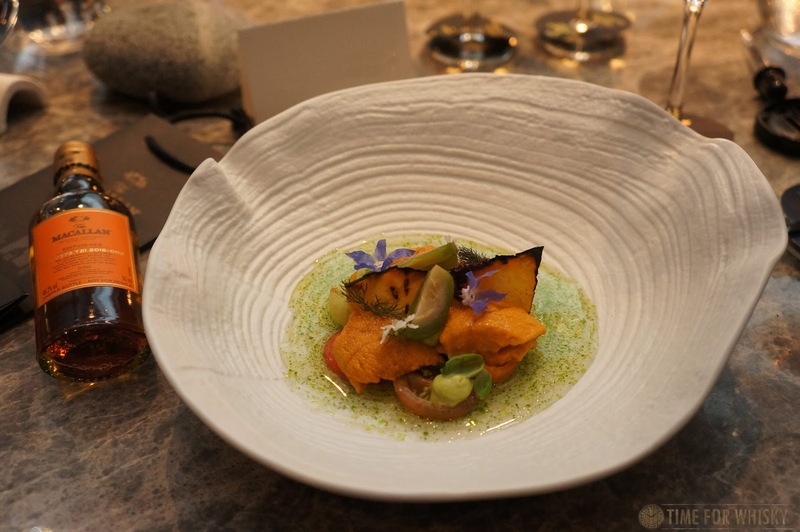 Taking over the entirety of VEA's intimate 30th floor restaurant, the event saw media and industry guests invited to taste the Edition No.2, along with 5 other Macallans paired with a custom tasting menu. 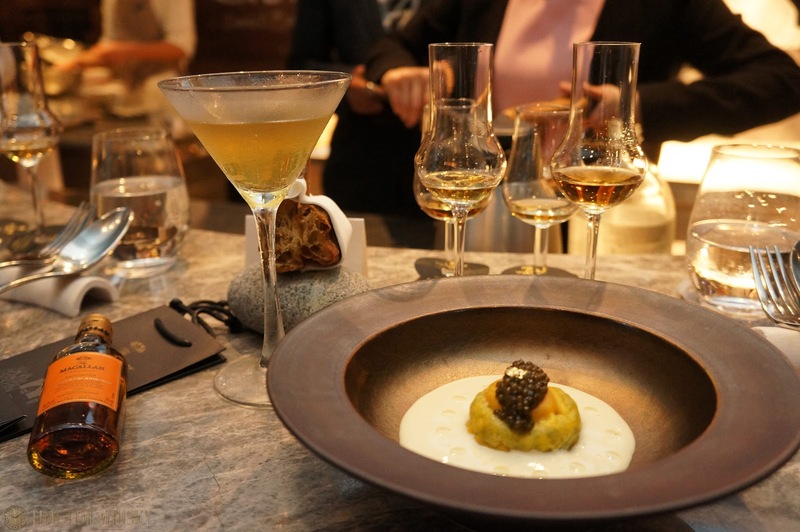 VEA's tasting menus are amazing enough on their own (if they don't get at least one Michelin star next round, there's something wrong...) but to have it paired with 6 drams from The Macallan (not to mention two cocktails)? After being handed a welcome cocktail upon arrival (a dangerously drinkable whisky sour riff with passionfruit and bee pollen), I spotted Stephen Mack of AWSEC who I learnt was our host for the evening. Stephen and I had worked at the "Toast The Macallan" event a few months earlier - he as host, me as a guest speaker (talking about whisky blogging), so it was great to see we'd be in good hands for the night. Taking our seats soon after, we surveyed the menu and saw what looked like a great and varied line up of Macallans - the three 12s (Sherry Oak, Fine Oak and Double Cask), The Whisky Maker's Selection (a since-discontinued Travel Retail edition), and both Edition No.1 and No.2. I was especially excited about being able to compare Editions No.1 and 2 together, to see if my memory was correct - to see if I really preferred No.1 to No.2. After a brief introduction by Stephen, and VEA's trademark-delicious "snacks" (the most incredible of which was the smoked quail eggs), it was time for the first course - Smoked Salmon, Egplant, Black garlic, burnt ash. Paired with the three aforementioned 12 year olds, I found them all to match well, but the best match for me was the Double Cask 12 with the quail eggs - something about the smokiness and the honey yet slightly fruity nature of the Double Cask just worked. Note: This one's not to be confused with the "Whisky Maker's Edition", which is still on travel retail shelves today. 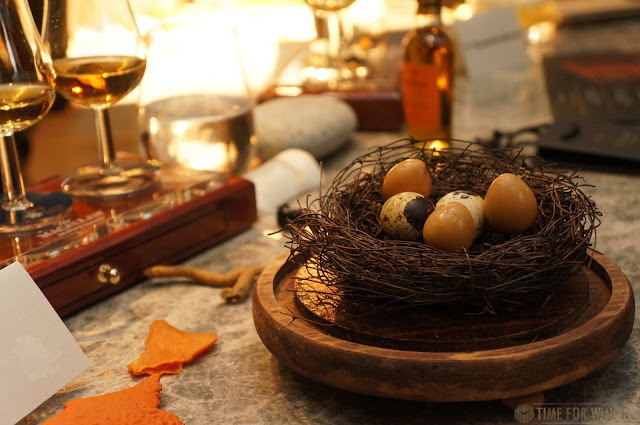 Nose: Fruity and creamy, like a fruit compote, but predominantly fruity. 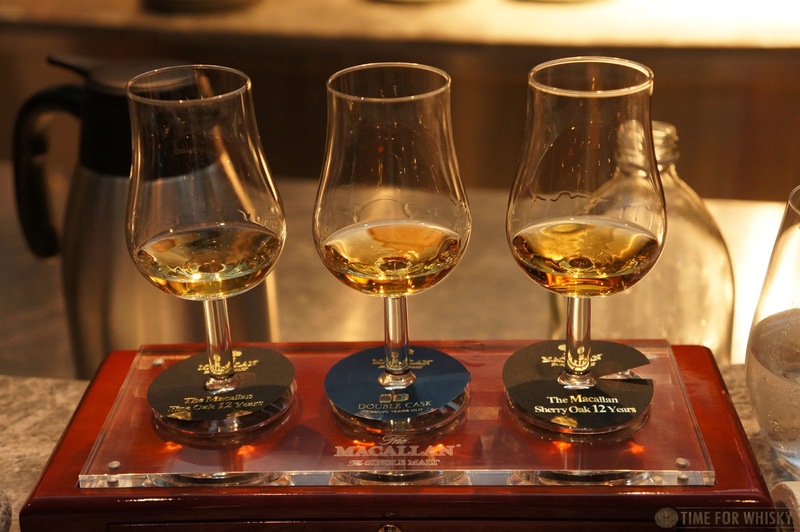 In fact on first nosing, I might have thought this a cognac! Plenty of grapes. Palate: A lot more spice than the nose would suggest, but still with that lovely fresh fruitiness - grapes and red apples. There's a "hint of flint" (sulphur, call it what you will) but not as much on some of the more sherried Macs of today. Creamy caramel rounds out a lovely, moreish palate. Finish: Long, fruit and spicy. Rating (on my very non-scientific scale): 93/100. 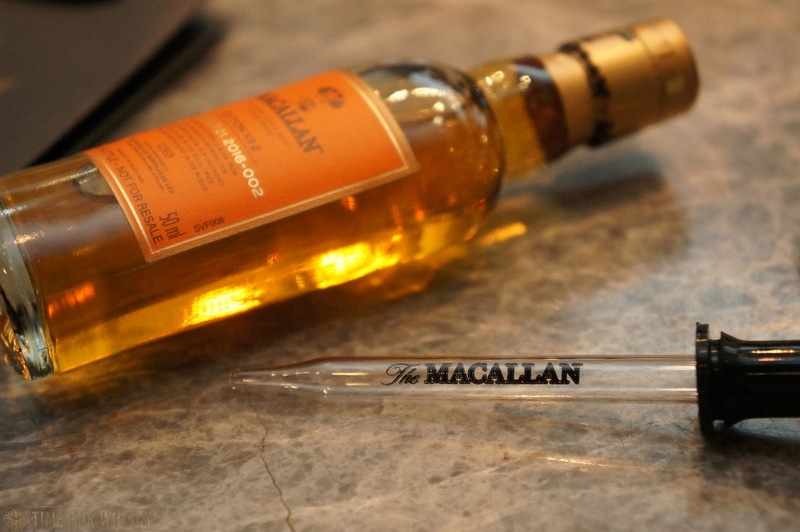 This was simultaneously elegant and powerful, and the most enjoyable "Fine Oak" Macallan I've had in some time. 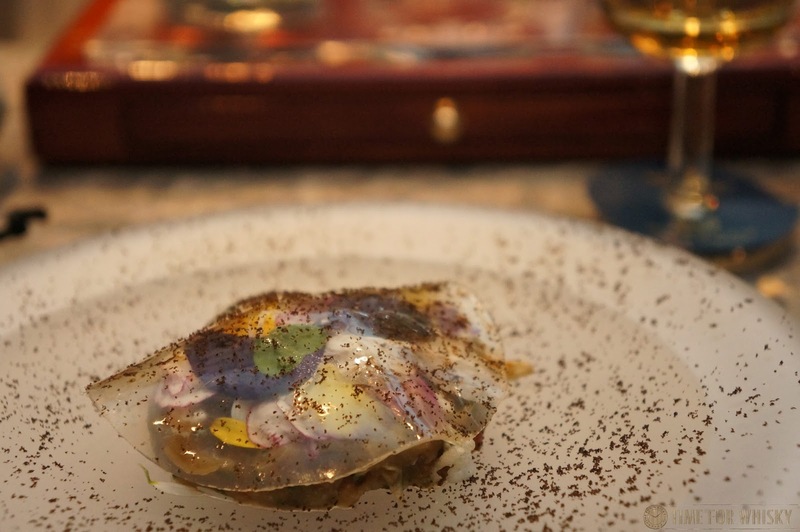 The next course, Crispy sea cucumber, langoustine, snap peas and young ginger was paired with Edition No.1 (first tasted here), whilst the subsequent course, Egg, truffle, parmesan and caviar was paired with an Edition No.2-based cocktail, with Elderflower shrub, Cocchi Americano and Orange Bitters. The latter was one of the best Scotch-based cocktails I'd had in recent memory, with everything I love about bitter, bracing, spirit-forward cocktails, but tempered with a delicate, not-overtly-sweet fruitiness which just worked perfectly. 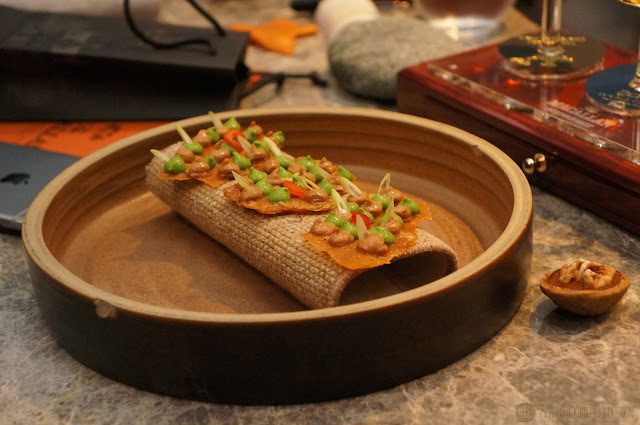 At this point though, noticing that the next course (Goose earl grey smoked, cherry, taro and "Lo Sui") was paired with Edition No.2 served neat, I jumped ahead and did the comparison I'd wanted to make for a few weeks - Edition No.1 and No.2, side by side. 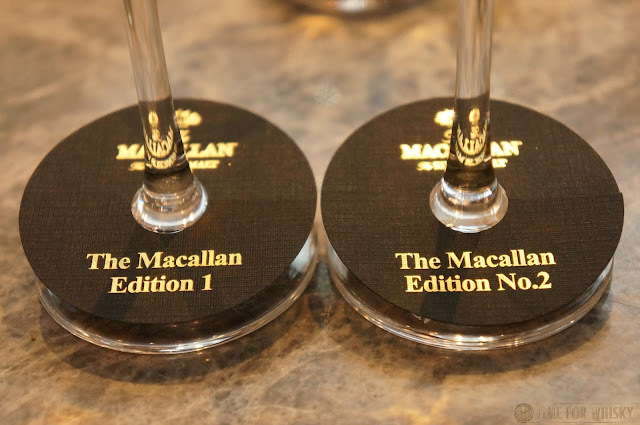 I was a huge fan of Edition No.1 last year, and still am, but I have to say Edition No.2 was the clear winner here - it's fresher, dare-I-say slightly old school Macallan-like notes, with hints of apple and ginger and fresh sherry overshadowed the Edition No.1 and its bolder, more obviously sherried profile. 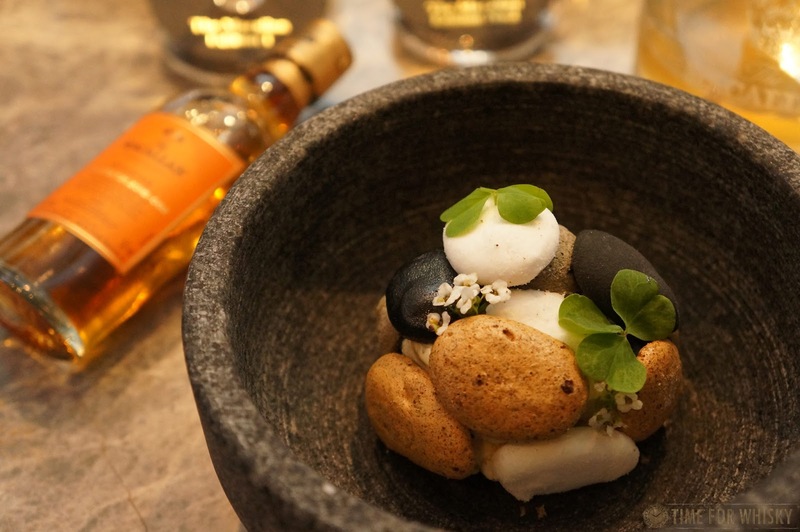 Our last dish, Stones and Pebbles, vanilla, burnt milk, apple toffee tasted as good as it was visually stunning (see below). Enjoyed with another Edition No.2 (this time with an ice ball), it was a lovely end to the night. 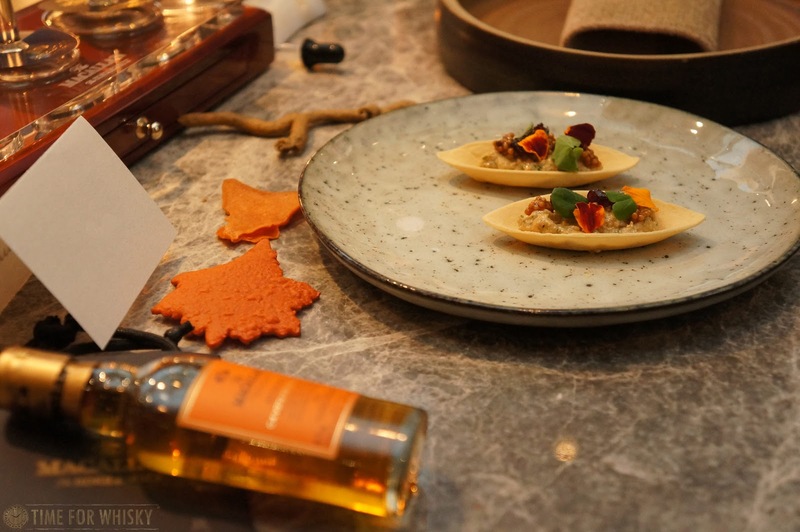 There's no question that Edrington Hong Kong know how to host a fantastic whisky launch, but they'd outdone themselves with this one - a literal feast for the eyes, nose and mouth from beginning to end. Edition No.2 is available in Hong Kong now, for around $700-$800HKD. 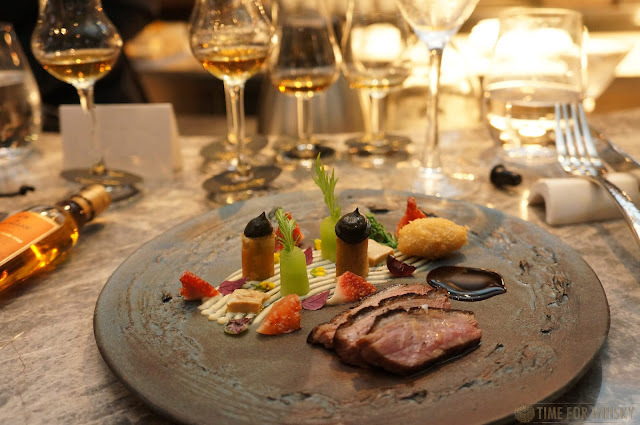 TimeforWhisky would like to thank Edrington HK to the invite to what was a fantastic dinner.